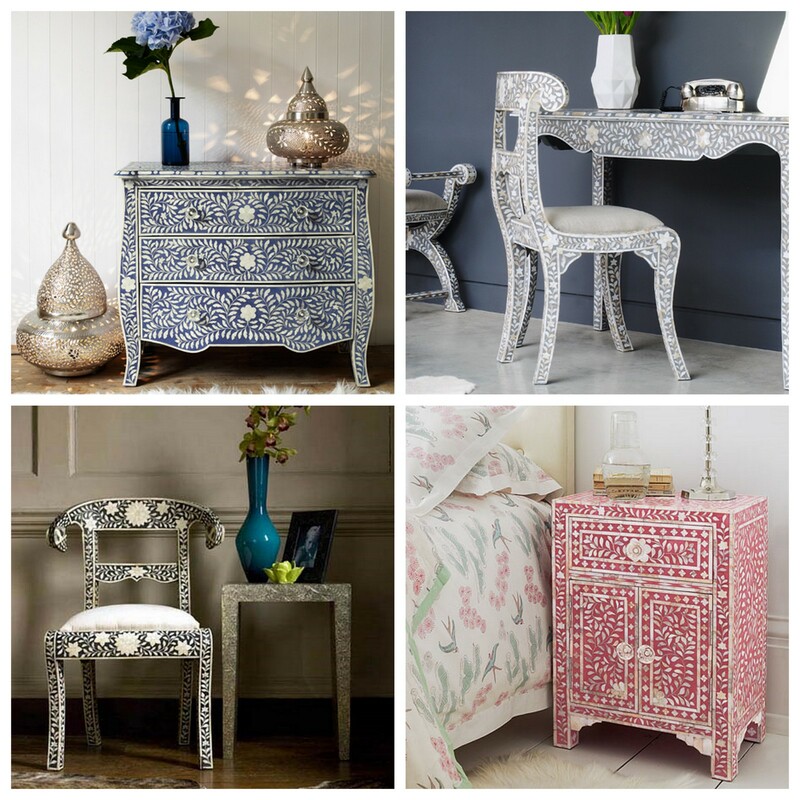 It turns out the gorgeous blue chairs in my earlier post are bone inlay furniture which are handcrafted in India. Camel bone is carved into the wood of the frame. I was delighted to find this information and more gorgeous furniture items made with thise technique on the website of Graham & Green. But as always, prettiness comes with a price... So for now I'll just stare at these images and hope to someday ad maybe one gorgeous inlay bone item to my own furniture.